What could be blander than the ubiquitous white cup? A trusty denizen of kitchen cupboards, bedside tables, and office desks, this basic container is everywhere to be seen, yet barely observed in the bustle of everyday life. Seattle’s Prographica Gallery adopted a very different stance in its fascinating recent exhibition, “Observing Observing (a white cup)” (Sept. 12-Oct. 31). The show’s curators, Eric Elliott, Michael Howard, and gallery director Norman Lundin, challenged over 20 painters, photographers, and mixed-media artists from around the country to submit pieces depicting a white cup. More commonly the subject of art school assignments than inspiration for a gallery invitational show, this thematic empty vessel spurred the invitees to reflect on their own ways of observing, which forced some outside their comfort zone and prompted many a false start, but ultimately resulted in artworks of remarkable variety and ingenuity. 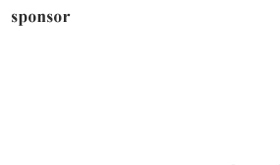 White, to a careful observer, is not simple. One of the artists in the show, Matt Klos, described the color white as “a conduit that is deeply sympathetic to its environment. White is the universal reflector and on its surface all color collides.” For an exhibition dedicated to a basic white object, then, the artworks revel in subtle color. The artists captured the play of light reflected on porcelain surfaces or piercing the sides and rims of paper or Styrofoam cups. 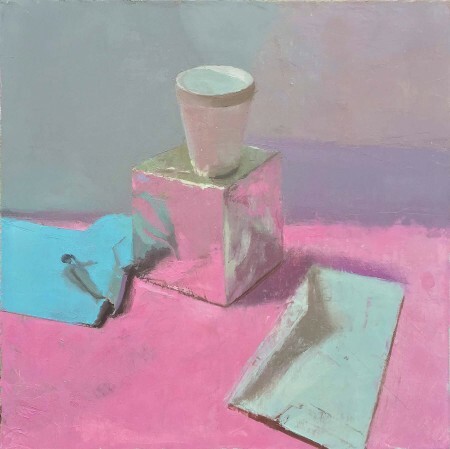 In oil painter David Campbell’s still life, “A Few of My Favorite Things 2,” a plain white cup is flushed with pink, demurely mirroring the bold colored surface upon which Campbell has positioned four objects, in a meticulous composition that returns the eye again and again to the cup. Artists also meditated on the concept of “cupness,” turning the object over and observing it from countless different angles (though the number is quite specific in the case of Cable Griffith’s acrylic painting on canvas, “White Cup, 64 Views”). Photographer Caroline Kapp explored various planes and features of the cup, with images focusing on a cup’s rim, bottom, handle, and even interior, in an image of ice that had been frozen in a cup and held the vessel’s shape. Other artists, such as photographer Graham Shutt, concentrated on the interrelation between shape and shadow. The four pieces that he exhibited showed the same plain cylindrical cup in different iterations of position, angle, and lighting. 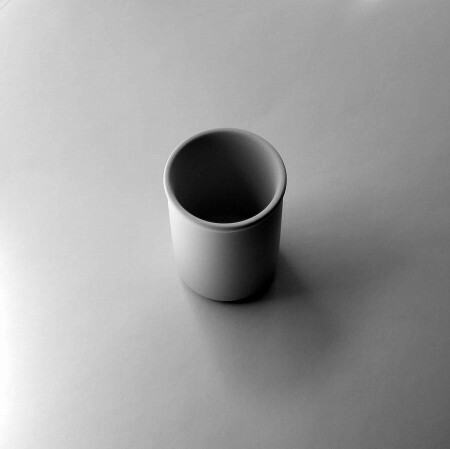 In “White Cup 000a,” he places the cup in the very center of the frame, the sharpness of its rim and sides contrasting with the soft shadows radiating from this center, introducing asymmetry to a fundamentally symmetrical image. Artists also sought to contextualize the white cup. 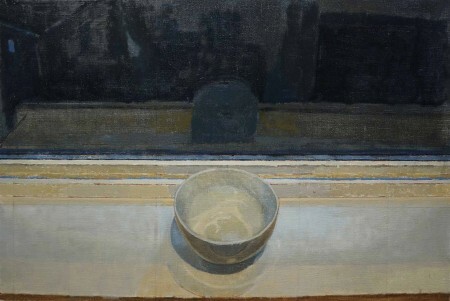 For example, painter Laura Hamje portrayed the vessel in a cupboard, slightly above eye level, in her oil on paper, “Cupboard.” Moreover, Seattle painter Amy Huddleston situated the cup in time with her oil on linen piece, “Night Cup.” The cup appears to be illuminated with muted, indoor lighting. While she depicts the cup front and center, the complexity of this piece lies in the reflections on the window behind it and in the sensation of emptiness underscored by the empty cup and the unseen night beyond the glass pane. This exhibition turned the tables on artists who were themselves art instructors in some capacity, including Kathy Liao, a professor at Missouri Western State University who gave her students a similar assignment in the past. Some hated it and some loved it, Liao explained in her Prographica blog post, but as she developed her own pieces for this exhibition, she found delight in “taking the cup for a ‘walk’ around the studio.” In so doing, she reveled in the bending of color, light, shadow, and shape on the surface of her white porcelain cup and strove “to record its brilliant mirage.” In this sense, the paintings in this exhibition are firmly rooted in the artists’ own experiences as they observe. Hidden narratives abound, notably in the cup that Ockwell broke by accident but ultimately turned into her honestly observed cup. 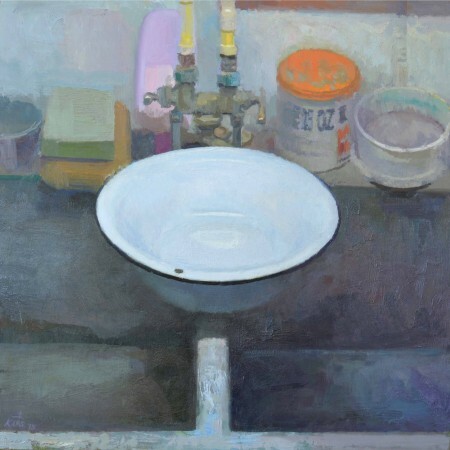 A subtle story also unfolds in Matt Klos’ oil on panel, “Perched (white vessel 1)” with a chipped porcelain basin balanced somewhat precariously atop a sink. It is the observed flaws, irregularities, and distortions that render these works more realistic and compelling. In “Observing Observing (a white cup),” that ubiquitous vessel served as a prism that concentrated and captured the considerable talents of the invited artists. A mirror for their technical skill, creative thinking, and keen perceptions, the white cup proved itself anything but dull. Invited artists: Fred Birchman, Sarah Bixler, Brian Blackham, David Campbell, Kimberly Clark, Joe Crookes, Dean Fisher, Cable Griffith, Laura Hamje, Kenny Harris, Amy Huddleston, Caroline Kapp, Matt Klos, Kathy Liao, Judy Nimtz, Elizabeth Ockwell, Anne Petty, Robert Schlegel, Bill Sharp, Graham Shutt, Laura Swytak, Jordan Wolfson, Evelyn Woods. –Elisa Mader is a freelance writer and editor based in Seattle.